Steel safety wire, used for additional security when hanging sound or lighting equipment of wall brackets or overhead gantries. 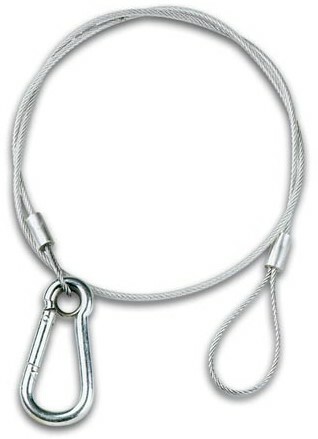 Steel cable covered with a PVC sheath, supplied with karabiner for quick and easy fitting. This safety wire must not be used for direct lifting.